Like many, I go through haircare products quicker than any other beauty product. 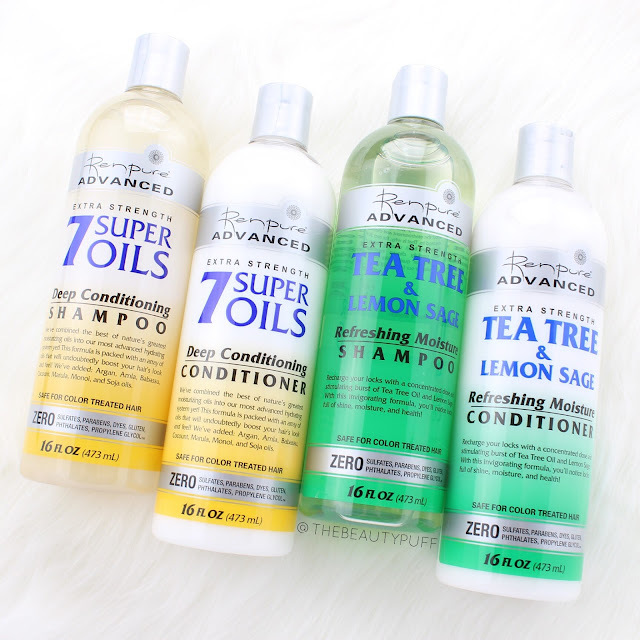 I love rotating my shampoos + conditioners, so most often, I go for budget-friendly options. Renpure is an organic haircare brand that not only uses quality ingredients, but is also incredibly reasonable. You can find it right at Target and their selection is fabulous. There's something for everyone. If you're craving moisture in your locks after this dry winter, you'll love the 7 Super Oils formula. It features oils like coconut, marula, argan, amla, babassu, manoi and soja to keep your hair hydrated and smooth. Each of these oils benefits hair in a different way and together, they provide overall health and luster so you get the maximum benefit every time. The Tea Tree + Sage formula is also great for keeping hair shiny and healthy. I've never heard of tea tree oil in a shampoo but it actually works wonders. It helps nutrients work through hair so you get the benefit of all the nourishing ingredients. The lemon sage oil works to enhance your natural color and keep it shiny and healthy. A great combination to invigorate your hair and bounce back after the winter. Argan oil seems to be in a lot of my haircare and for good reason! The Renpure Argan Oil shampoo and conditioner work to heal damage within each strand so you get noticeably healthier, shinier hair. Between the cold, dry winter air and all the heat styling my hair has gone through, this formula was a welcome addition to my haircare routine. My hair looked ten times better after blow drying once I incorporated this formula. Love! 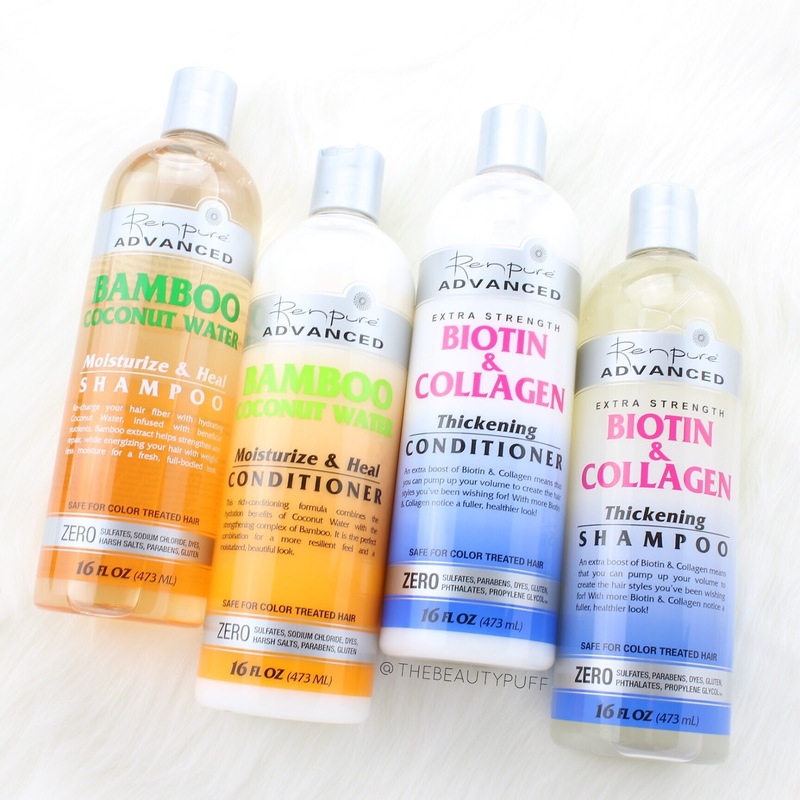 One of my other favorite varieties in this line is the Coconut Cream shampoo and conditioner. The coconut oil targets the innermost parts of the hair where it's needed to replenish and hydrate. The best part is, this formula leaves my hair light and silky so I get all the benefits of the moisture, and no excess weight. Plus, the smell is absolutely scrumptious. Definitely a favorite for spring and summer! For strengthening, you'll want to try the Bamboo Coconut Water shampoo and conditioner. The coconut water provides hydration that lasts and targets areas in the hair that need it most. The bamboo works to strengthen hair and helps with flexibility so you have less breakage. I definitely need that with all my heat styling! Once my hair has been moisturized and replenished for spring, I'm going to be looking for some much-needed volume! Renpure's Biotin + Collagen shampoo and conditioner contain oils that absorb into hair and naturally fill it for a noticeably fuller look. It also provides shine and hydration so hair isn't stripped of natural oils. Renpure's haircare line has something for everyone, no matter what your hair type. 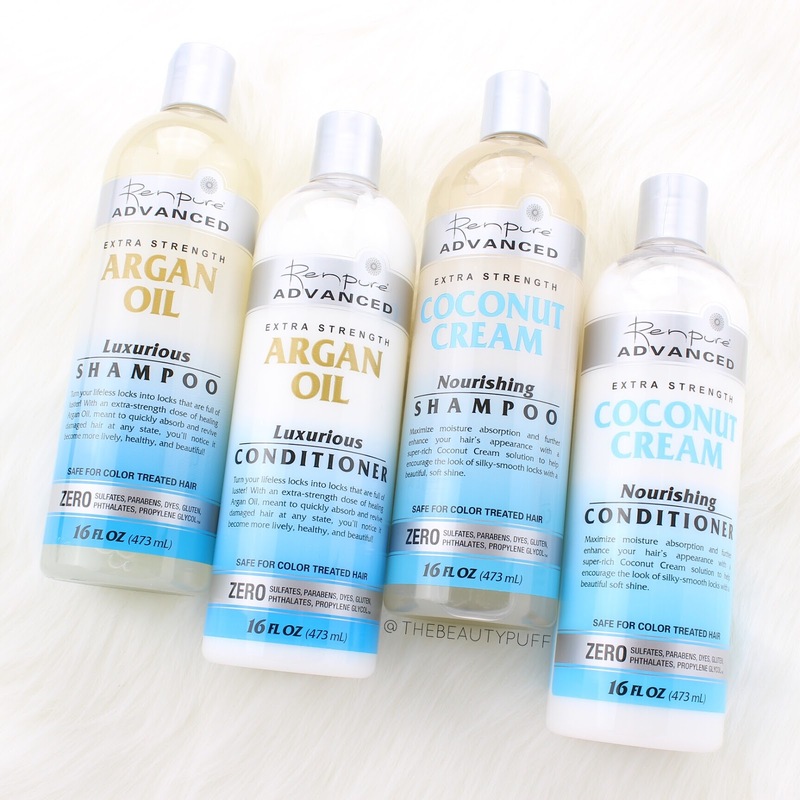 You can find Renpure's shampoo and conditioners exclusively at Target and Target.com below!